Dan Patrick, Republican State Senator and Senate Education Committee Chair, introduced an education reform bill, S.B. 2, in this 83rd session of the Texas State legislature that supports an expansion of the number of charter schools in Texas. Current Texas law limits the number of open-enrollment charter schools to 215, and S.B. 2 would remove that artificial cap. This is no doubt good news for the over 100,000 children on Texas’ charter school waiting lists. At present, charter schools enroll around 150,000 students, and they have proved popular with parents seeking some alternative to the local public school their children would otherwise attend based on their zip code. In short, expanding charter schools interjects more competition in the educational arena, and more choice in educational opportunities, all to the benefit of Texas’ children and parents. Patrick’s bill, S.B. 2, in addition to increasing the number of charter schools in Texas, strengthens accountability in the academic and financial arenas for these schools and provides an easier means for parents to turn existing public schools into charter schools. The bill provides for charter schools to be able to use existing public school structures not currently in use, which makes sense as charter schools get 90 cents for every dollar that public schools get, per pupil, and no facilities funding. S.B. 2 also provides for a Charter School Authorizing Authority that would be tasked with the important work of approving, monitoring and revoking charters. The composition of that CSAA includes four appointees by the governor, and one each by the lieutenant governor, chair of the SBOE and the State Education Commissioner. 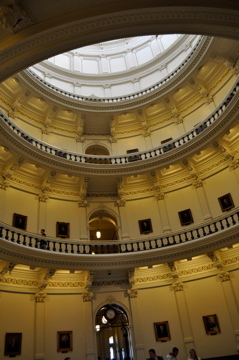 The Texas legislature’s roster contains a handful of bills signaling that Republicans are serious in tackling the problem of underperforming students and schools in Texas. All evidence determination to remove the barriers that keep low-income families from enjoying the benefits of educational choice that more affluent parents naturally have. Ronald Reagan once said, “Putting people first has always been America’s secret weapon.” Providing parents with school choice for their children is one way of putting people first, and a great education is one potent “secret weapon” leading to opportunities, employment and success.